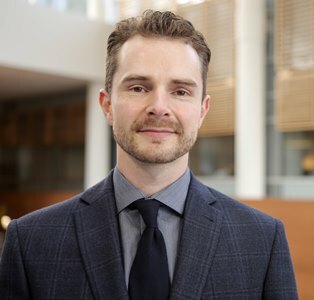 A growing number of patients in Eastern Ontario are being saved from unnecessary prostate cancer surgeries, according to a study led by Dr. Luke Lavallée and Dr. Luke Witherspoon published in CMAJ Open. While prostate cancer is the most common cancer in men, in the past it has been over-diagnosed and overtreated. Surgery is a good treatment option for some prostate cancers, but may not be needed for men with low-risk cancer. Prostate surgery, while beneficial for many men, can also have side effects, including incontinence and sexual dysfunction. For this reason, surgery is advocated for patients with cancers most likely to cause harm by growth or spread. The research team looked at the records of all patients who had prostate surgery in Eastern Ontario between 2009 and 2015. Investigators found that the proportion of patients with intermediate or high-risk prostate cancer increased from 47 percent to 90 percent. This means that fewer people with low-risk cancer are being exposed to the risks of surgery, and that urologists have successfully implemented new guidelines on who should be recommended surgery. “We were reassured to find that surgery is being selected for men with prostate cancers that are most likely cause harm and avoided in cases where the cancer is unlikely to cause harm. This is a great success in reducing overtreatment of this disease," said Dr. Lavallée. Authors: Luke Witherspoon, Johnathan L. Lau, Rodney H. Breau, Christopher Knee, Michael Fung Kee Fung, Robin Morash, Ranjeeta Mallick, Ilias Cagiannos, Christopher Morash, Luke T. Lavallée. Funding: This research was possible because of generous donations to The Ottawa Hospital for Cancer Research. The researchers have also received support from the Canadian Urological Association and Prostate Cancer Fight Foundation - Ride for Dad.